To mark the 50th anniversary of the opening of the Second Vatican Council, CCI will hold a conference on the theme “Vatican 2 + 50: A Cardijn Perspective” to be held at the Pius XII Centre, Manila from 11-14 October 2012. In the lead up to the conference, CCI will also launch a preparatory enquiry to begin the process of evaluating how far the spirit and teachings of Vatican II with regard to social teachings and lay participation have been promoted, understood and implemented. Apostolicam Actuositatem, Decree On the Apostolate of the Laity. 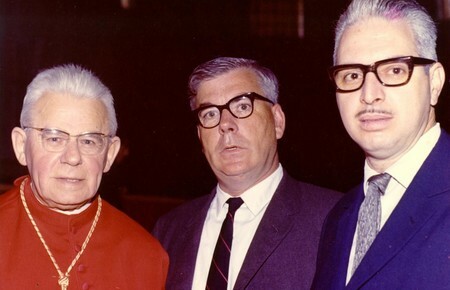 Joseph Cardijn took part in the Council first as a consultant to the Commission on Lay Apostolate from 1962-65 and later as a Council Father in the Fourth Session of the Council after he was made a bishop and cardinal by Pope Paul VI. “We hope also to work on these six themes that Cardijn emphasised over the next three years of our project,” Mr Gigacz added.